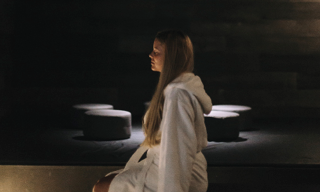 Benefit from all Strøm Spa services – thermal baths, skin care and massages – in one of three convenient Total Care Packages. Choose to be pampered alone or with someone else and indulge in the complete spa experience. Put your worries aside and feel the vibrancy of life! We advise you to read our cancellation policy. Spa packages are sold at all-time price for you convenience. Please note that a balance remains on the gift card for certain packages, if it is used from Monday to Thursday (except holidays and high season). Gift cards are not redeemable for cash and non-refundable. Please note that the only time slots available for 90-minute massages on Saturdays and Sundays are at 9 am, 9:45 and as of 5:45 pm. To benefit from the price of 90-minute massages before 10:30 am Monday to Thursday, the available time slots are: 9:00 am or 9:45 am. Combine a thermal experience with a swedish massage. Swedish, the classic massage method, dissolves muscle tension while increasing blood circulation and inducing a profound state of relaxation. 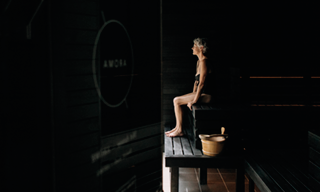 Fully experience the ritual of alternating hot and cold temperatures with our Strøm package. 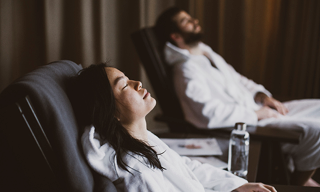 Including the thermal experience, a 60 minutes Strøm massage (based on fluid maneuvers enhanced by the benefits of the hot-cold contrast), our Isotherm water bottle and a herbal tea break. Combine a thermal experience with a specialized massage. Choose from Swedish therapeutic, Shiatsu, Thaï, massage for pregnant women or children under 16 years, when you make your reservation. Combine the thermal experience with a hot stone therapy. With stones placed on strategic points of the body, this massage provides deep muscle relief and relaxation. The heat from the stones soothes muscles, reducing tension and stress. Combine the thermal experience with a 4 hands Swedish relaxing massage. A four palmed choreography massage done by a pair of massage therapists for an intensely enveloping experience. This massage technique with a criss-crossing of hands promises to leave you in a state of profoundly deep relaxation. Combine the thermal experience with a relaxing body wrap. A supplement will be charged on site if you opt for a different kind of body treatment. Combine the thermal experience with a Discovery face treatment. A supplement will be charged on site if you opt for a different kind of face treatment. Combine the relaxation areas access with a prenatal massage. Focused on alleviating muscle tension and pregnancy-related symptoms, prenatal massage provides mothers-to-be with a sense of serenity and restfulness as they go through a period of major physical changes. The thermal experience may not be recommended for pregnant women. Inspired by the Finnish verb lempiä, which means “to love, to be romantic,” this package for two provides you with an unforgettable shared experience. “Love is the answer, what was the question?” Einstein once said. The human being is a relationship being, it is impossible for us to not be in a relationship. However, how is it that our relationships are sometimes so complicated, tortuous and painful? The unconditional love for our children is a certainty, but how come that isn’t always the case with our lifetime partner? Love is so vast and has multiple levels. I invite you to come and better understand these relationships that improve or intoxicate our daily lives, to better live with them on a daily basis. Ariane Laberge is a professional NLP coach certified in family systems and relationship coaching. An expert in the field of systemic relationships, she quickly detects the hidden dynamics that poison our relationships. Since we are all relationship beings, whether on a personal or business level, she is the reference for managing conflict situations and restore balance and harmony. Ariane is an exceptional person! Her beautiful personality, her humor, her generosity and her many life experiences make her an inspiring woman. 3- Festive crab dip served with corn chips. Experte bien-être, journaliste et femme d’affaires sur la scène internationale, Judith Ritchie a voyagé autour du monde pour tester les plus belles retraites holistiques et spirituelles. Ce qui n’était au départ qu’une simple aventure antistress et une curiosité professionnelle a complètement changé sa vie et sa perception du monde. À travers ses interventions, venez découvrir les moments marquants de ses retraites aux quatre coins du monde, ainsi que son discours sur la vraie beauté, celle qui commence par un long voyage au cœur de soi pour se libérer de l’ego, accepter sa vulnérabilité et se connecter avec l’énergie du cœur pour rayonner d’une lumière authentique. La méditation est pour tout le monde. Elle est le processus qui vous permet de contrôler et de transcender les vagues du mental, amenant au jaillissement du rayonnement de votre âme. La méditation vous permet de rompre les habitudes inconscientes, de purifier votre mental et d’assurer une sensation de bien-être, de paix intérieure, de stabilité et de calme. Elle vous permet aussi de développer votre intuition. À la fin de cette conférence, vous serez guidés dans une méditation simple que vous pourrez pratiquer au quotidien. Always listening to its customers, Matis creates formulas for all skin types. These formulas are the answers to all your skin problems. Try this high quality treatment that is perfectly adapted to you. The texture and the smell will definitely seduce all your senses. How many times a day are you really present and aware of what you are doing? When you brush your teeth? While eating your lunch? Saying goodbye to your child? Our mind is rarely in the present moment, it is often busy projecting itself into the future or returning to the past. And when we revise, project, wander, and assume ... worries appear, fears arise, catastrophic scenarios are being created and we become stressed out. To live in full awareness means to be here, in the now, moment after moment. By paying attention to the present moment, we are developing a certain form of wisdom and control, based on our ability to relax, to be conscious and to develop a deep vision of what is real. Through a series of exercises, guided meditations and simple instructions, you will discover easy and effective tools to exercise mindfulness in your life and therefore live a more satisfying life centered on wellbeing, opening of the heart and the calmness of the mind. Zanie Roy is a certified yoga teacher, a meditation guide and a qualified MBSR (mindfulness-based stress reduction) teacher at the Center for Mindfulness, UMASS Medical School. Passionate about life, Zanie leads her sessions with rigor, humor and lightness and allows everyone to find the path that leads to peace and wellbeing with gentleness. An expert in full consciousness meditation, which she practices every morning, she especially loves to start her day by meditating, "it fertilizes the mind and body for a pleasant day ahead", as she likes to say to her students. Zanie also guides yoga and meditation retreats in Quebec and abroad. In 2011, she founded espace prana, a yoga and meditation center where students meet to relax and reconnect with themselves. Zanie also offers private meditation sessions to manage pain, anxiety and stress. A saying that inspires her: “la vie n’est pas une affaire à gérer, c’est un mystère à vivre” (life is not a business to manage, but a mystery to live). Conference in French only animated by Marie-Eve St-Arnaud : S’estimer, foncer et se réaliser. L’importance de l’estime de soi pour l’Amour de soi. Diplômée de HEC Montréal d’un BAC multidisciplinaire et avec plus de 15 années d’expérience en entreprise, Marie-Eve s’est spécialisée au cours des dernières années en marketing, communication et développement de marchés sur la scène internationale, plus particulièrement pour le marché brésilien. C’est en 2012 qu’elle décide de réorienter sa carrière afin de pratiquer sa plus grande passion, aider les gens à cheminer vers un mieux-être. Elle s’inscrit alors à la formation donnée au Centre de relation d’aide de Montréal (CRAM) afin de porter le titre de TRA, Thérapeute en relation d’aide MD. Aujourd’hui, en plus d’offrir de la thérapie individuelle, elle offre des conférences sur l’importance de l’estime de soi et se penche principalement sur l’importance de la santé mentale afin d’avoir une vie équilibrée tant sur le plan personnel que professionnel. Renowned nutritionist, Isabelle Huot is the expert in the field of nutrition in Quebec. Currently she is also a columnist in several written media, i.e. Journal de Montréal, Bel âge, Moi et Cie, Beauté HD and l'Actualité Médicale, and she has segments on nutrition on several TV channels (Salut Bonjour, Pour le Plaisir, Libre-Service). Every year, the nutritionist travels across the province to give lectures to both, the general public and employees of private companies. Author of 9 books, owner of 5 clinics, Isabelle has also developed a range of healthy meals and snacks, available online or in supermarkets. Prendre soin de soi est un pilier fondamental et essentiel au bien-être et à la santé globale. Lorsque notre rythme de vie effréné nous pousse à ignorer ce pilier trop longtemps, on prend le risque de devenir, à un certain moment, épuisé, peut-être déprimé, et même physiquement malade. Si ces défis vous interpellent, pourquoi ne pas décider aujourd’hui de prendre le temps d’assister à l’atelier-conférence « Prendre soin de soi » pour ainsi développer une toute nouvelle perception, à l’aide entre autres d’une boîte à outils « au goût du jour » pour mettre le tout en pratique. C’est le premier pas à faire pour commencer à bien prendre soin de vous. Martine LaBrèche est coach de vie certifiée (PPCC), conférencière et pionnière dans la pratique de la psychologie positive au Québec. Elle est spécialiste en santé, bonheur et bien-être. On l’a vue à l’émission Tout part de soi, animée par Mitsou Gélinas, et à Deux filles le matin. Elle aime particulièrement offrir de nouvelles pistes de bonheur à ceux qui ont tout pour être heureux, mais qui souffrent d’insatisfaction, de manque d’énergie, d’un mal-être non défini. Elle explore, avec la complicité de ses clients, toutes les possibilités qui s’ouvrent à eux, et ce dans un environnement dynamique et empathique. Elle offre du coaching individuel et de groupe à son bureau de l’Île-des-Sœurs, de façon virtuelle ou en personne. Pour plus d’informations, visitez www.dynamixcoaching.com. Jean-Philippe Bouffard (pianist, keyboardist, arranger, musical director) began studying piano at the age of 10 with teacher Claudine Poirier. In 1998, he obtained a DCS in jazz piano at the Cégep de Drummondville, where he studied with François Bourassa. In 2002, he completed a Bachelor’s degree in jazz piano at McGill University. His teachers were Wray Downes and Jan Jarczyk. Since then, he has been working as a freelance musician, which has led him to work in different settings; accompaniment of choirs or soloists, different jazz formations and corporate bands. He has participated in the Montreal International Jazz Festival, the Francopholies de Montréal and the Mondial des Cultures de Drummondville. His various engagements have led him to play inm Belgium, Switzerland, France, Hungary and Serbia. He has worked with Jonas, Marc Dupré, Karine Tessier, Joël Legendre, Mathieu Gaudet, Marc Angers, Andrée Watters, Andrea Lindsay, Emily Clepper, Annie Villeneuve, Judith Bérard, Ima, Julie Massicotte and Johanne Blouin. In 2011, he was the pianist for the singer Garou on his Rhythm & Blues tour. The tour began on January 30th at the Olympia in Paris. It continued throughout Europe, notably France and Belgium. He is currently pursuing his career as a freelance musician. William Croft, a pianist and multi-instrumentalist, began playing the piano at the age of 3. He studied classical organ at the Conservatory in Chicoutimi and then graduated in Jazz Piano from the Laval University. William has appeared in several productions including La tournée de Stéphane Rousseau (2014-2017), as well as for Fairplay Productions for the program “Sur invitation seulement” on TVA. Today, he is the co-founding president of Productions Croft and with them he is involved in numerous musical projects of all kinds. A unique way to introduce your children to relaxation and spend some family moments. Chef Jérémie Falissard, only 34 years old and originally from the Côte d’Azur, is in charge of the restaurants Foiegwa, Bocata, Barroco and the Atwater Cocktail Club. Early on he got a taste for all the different blends of culinary traditions. After culinary studies, he worked in Spain, Italy and France, three cuisines that today inspire the menu of his restaurants. He came to Montreal in 2005 with the goal to open his own restaurant, but instead held a few positions as a restaurant manager. He opened his first restaurant in 2008 and that was the beginning of a great and still growing venture. A native of Turkey, Fiscun Ercan arrived in Montreal in 1998. This economics and finance graduate has decided to devote herself to her true passion: cooking. After graduating from Lasalle College with a kitchen manager degree, she first started out by offering her services as a caterer and then opened her restaurant Su in Verdun. She introduces her guests to the kitchen of her native country. In June 2013 she opened BarBounya, a Mediterranean style meze bar on Laurier Street West. She is also the author of the book “Su: the Turkish cuisine of Fisun Erkan” published in 2011. Born in Ontario, Ashley Thornton grew up in Montreal. She chose to specialize in Italian cuisine, because she finds it a style of cuisine that brings people together at the table, and is above all, delicious. After studying at the Quebec Institute of Tourism and Hospitality, she went to work in Italy where she was also able to improve her knowledge. She was discovered by the public when she participated on the reality show Les chefs. Her first job was working for the SAQ and it was enough to give her a little taste of the trade! That’s how Stéphanie Dupuy’s passion for wine was born. Her interest and curiosity led her to follow the sommelier training program at the ITHQ, and then to obtain the diploma of the Wine and Spirit Education Trust Level 3. An internship in a vineyard situated in Ladoix-Serrigny in France allowed her to meet passionate people with whom she shared the everyday life of a winemaker. Working the land gave her a second wind for her love of the product. Since then, she has had the chance to visit and work alongside great winemakers from all over the world thanks to her work at Le Marchand De Vin. Today, she gives training courses as a private sommelier and does what she loves: speaking with authenticity about wine, simplifying it and making it accessible to everyone. À la suite de sa lecture du livre Zéro Déchet de Bea Johnson, Mélissa a plongé tête première dans ce nouveau mode de vie. Lors de sa conférence, elle racontera son expérience personnelle de cette belle aventure, ses succès et ses échecs, ses bons et ses moins bons coups. Sans prétendre détenir la recette ultime du zéro déchet, Mélissa aime parler de ses trucs et astuces, ainsi que partager ses réflexions sur notre façon de (sur)consommer. Conférencière, consultante et chroniqueuse radio sur le zéro déchet, Mélissa s’est lancée dans ce mode de vie en janvier 2013, après l’avoir découvert grâce à l’expérience de Bea Johnson et sa famille. Depuis 2015, Mélissa a eu la chance de présenter la simplicité de son mode de vie zéro déchet dans plusieurs médias, que ce soit aux émissions de télévision L’Épicerie, RDI Matin ou Salut Bonjour, dans le Huffington Post ou à la radio de CBC. En voulant changer le monde au-delà de sa propre poubelle, Mélissa a cofondé le collectif citoyen Éco-Système avec Laure Caillot en 2016. C’est à l’été 2017, après avoir offert des dizaines de conférences, que Mélissa lance son entreprise Le Mini-Vert afin d’offrir ses services en tant que conférencière et consultante pour une transition vers un mode de vie zéro déchet et une consommation responsable. Dear customers, please note that on Tuesday, December 5th 2017, the Strøm Nuns' Island will exceptionally close at 8 pm.